Robometricschool. 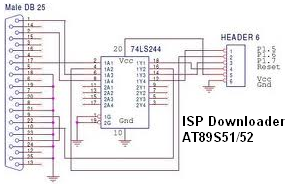 - In this time i want to share with you about ISP Downloader for AT89S51/S2 using 74LS244 that you can use to connect your minimum system AT89S51/52 with port parallel printer from your computer or PC. As we know that AT89S51/52 is microcontroller from Atmel with MCS51 family. 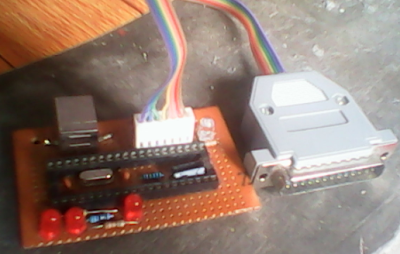 Different with AT89C51/52 from MCS51, AT89S51/52 completed with ISP (In System Programming) to easy user to take download program to microcontroller. User not again open much money to buy downloader like downloader for AT89C51/52 to take download program to microcontroller. With ISP feature in AT89S51/52, you can easy download program from your computer to this microcontroller. 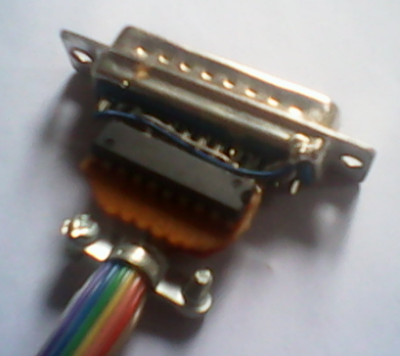 You can make ISP downloader easily using few connector DB25 and cable to connect to your IC Microcontroller. 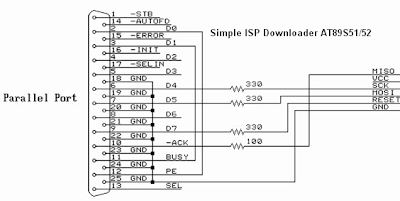 You can see figure 1. to know more circuit diagram for simple ISP Downloader for AT89S51/52. 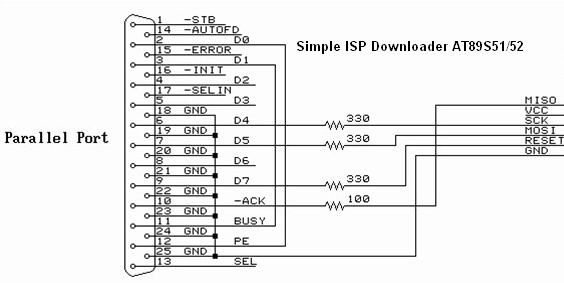 You can make simple ISP Downloader for AT89S51/52 using circuit diagram like from figure 1 above. But from figure 1 it is only simple circuit and in practice you must use short cable to connect your computer to your minimum system AT89S51/52. In practice it is often trouble when you make download if you still use long cable. There is not any special size how long cable to make it not trouble. Sometime it not trouble and sometime trouble happened. From figure 2 above we know that IC 74LS244 as buffer signal from port parallel printer your computer to your minimum system microcontroller AT89S51/52. Signal from pin DB 25 will be increased and also signal data from AT89S51/52 will be increased. 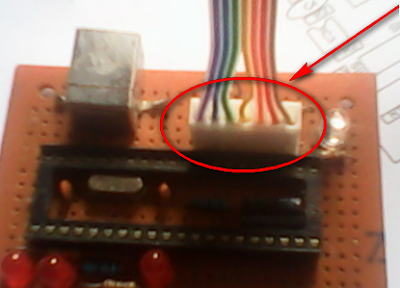 From figure 2 we can use longer cable to connected our computer and system minimum microcontroller AT89S51/52. We have been practicing to make ISP downloader for At89S51/52 using 74LS244. If you also still interesting to use IC AT89S51/52 i think you also can make it easily and only need cheap money. You only provide several material and component electronic and also few tool to make this ISP downloader. 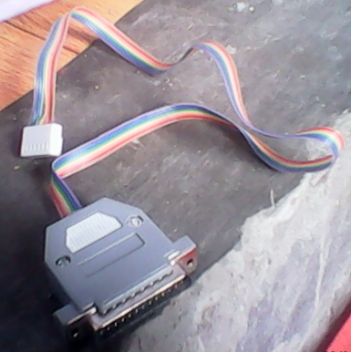 Housing socket 7 or 8 pin. and data cable more than 50 cm. Please you connect several component and material above like schematic diagram from figure 2. Make sure that your connecting is true. To make easy you can use drilling PCB to insert your IC 74LS244. Cut your PCB with size more than size of DB25. Please install using soldering iron step-by-step until all component and material is connected truly. You also must connect your data cable to housing 7 or 8 pin. Make sure the order of pin. To finish your jobs please insert your connecting IC 74LS244 in DB25 housing. It will make your project more safety. Here are several figure of ISP Downloader for AT89S51/52 using 74LS244 from my project.